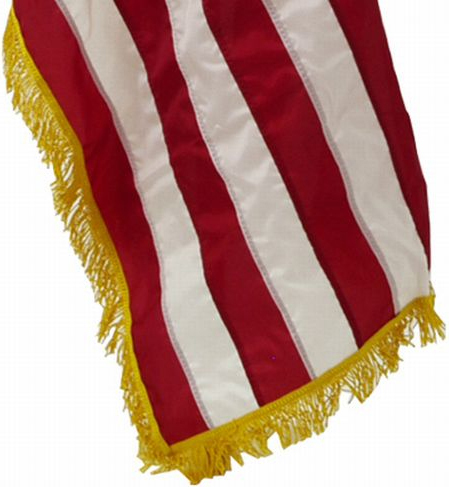 Our Indoor Nylon American Flags are manufactured in the United States from durable nylon fabric with sewn stripes and embroidered stars. 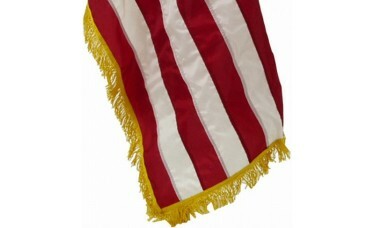 Indoor flags feature a pole hem for hanging on an indoor flagpole with your choice of with or without vibrant gold fringe. 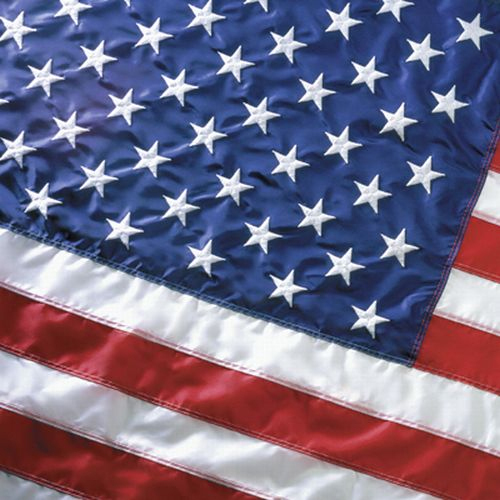 The fabric used to produce these flags is fire resistant, moth-proof, mildew-resistant, and fade-resistant.